Richard Childress Racing announced Thursday that it has signed Matt Tifft to join the team’s NASCAR Xfinity Series roster for 2018 as the full-time driver of the No. 2 Chevrolet. That first full-time season of Xfinity Series competition this season has come from behind the wheel of a Joe Gibbs Racing Toyota entry. He has 39-career starts in the series, including a series debut in 2015 and 10 races last year. All but his first three races in 2016 came from behind the wheel of a Joe Gibbs Racing car. He was slated to run more than 10 races last year but was sidelined in the second half of the season by brain surgery. Tifft has three-career top-fives in the Xfinity Series, including career-high third-place finishes earlier this season in races at Mid-Ohio Sports Car Course in Lexington and Road America in Elkhart Lake, Wis. Tifft also has 15-career top-10s. 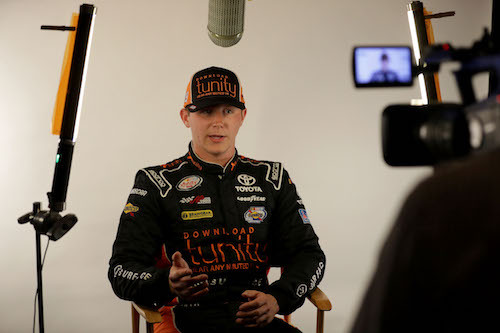 Tifft is one of 12 drivers participating in the 2017 Xfinity Series playoffs. He heads into Saturday’s race at Charlotte (N.C.) Motor Speedway, the elimination race of the first round, seventh in the standings. Richard Childress Racing made a separate announcement, also on Thursday, that Daniel Hemric would remain with the organization in 2018 to continue as a full-time driver in the Xfinity Series as driver of the No. 21 Chevrolet. Hemric is fifth in the championship points standings heading into the Charlotte race on Saturday.